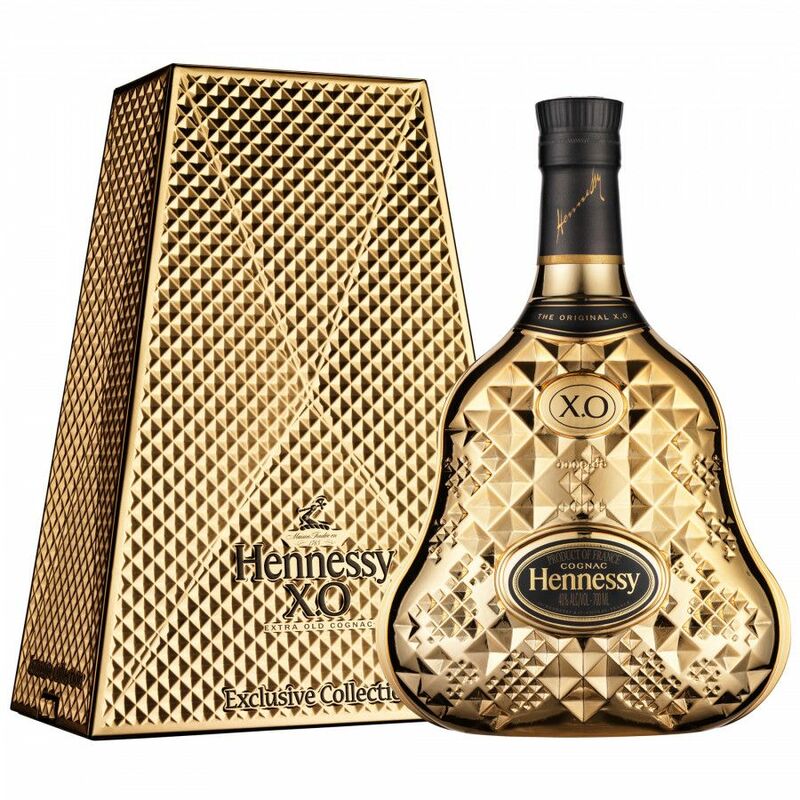 To mark the grand finale of Hennessy‘s 250-year anniversary marathon, the Cognac giant launches a special edition bottle of its Hennessy X.O Exclusive Collection by British designer, Tom Dixon: Hennessy X.O Exclusive Collection 9. For the special edition, the star designer was inspired by the magical qualities of crystal, diamonds, and precious stones. He chose a sparkling silver to create a relief-like surface for the bottle, to reproduce the sensation of these valuable minerals. Private Seller from Cologne, Germany. Stored in a dry place, at room temperature, upright standing. All duties paid.